Career diplomat, who spent a lot of time in Turkey and Pakistan. 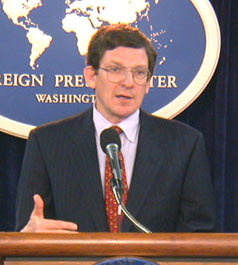 During the critical years 2001-05, Grossman held the third-highest position at the US State Department, Under Secretary for Political Affairs. According to Patrick J. Fitzgerald, Grossman informed Lewis Libby of Valerie Plame's CIA identity.